A great reference site put together by Kris Gunnars, a medical student. They research key questions in nutrition and provide a simple, yet detailed explanation, with references to the studies that support their conclusions. In addition, they sum up the key conclusions for each section with the "Bottom Line" so you can quickly scan the articles and quickly get the answers to the topic. This is a good place to look when you hear about some "study" that says that this or that is good or bad for you and you'd like to find out what's supported by good research. Created by the cofounder and President of NUSI, The Nutrition Science Initiative, Eating Academy is a website that goes very deep into science of nutrition. These articles are typically not for the feint of heart because they are very thorough and rather technical. This is the web site of Mark Sisson. 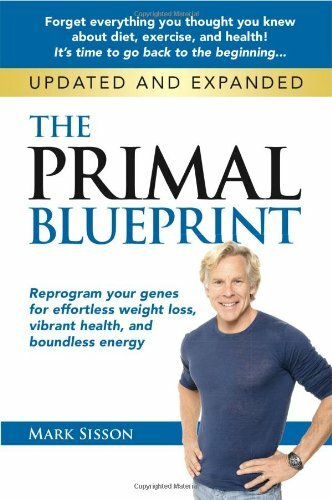 Mark's "Primal Blueprint" concept is probably the closest to what I find to be the best approach to nutrition and health. Mark, a marathoner and triathlete who quit that competition when he realized the toll it was taking on his health, goes beyond just nutrition and talks about exercise, sleep, and state of mind. Chris Masterjohn with a PhD in Nutritional Sciences, is doing postdoctoral work at the University of Illinois, Urbana-Champaign. Through his blog, he brings great information from his research into many health subjects, particularly cholesterol. The Nutrition Science Initiative, formed by Dr. Peter Attia, whose web site, Eating Academy is referenced above, and Gary Taubes, the journalist and author who for years has challenged conventional thinking and shoddy nutritional science in his articles and books. NUSI's mission is to; "...reduce the individual, social, and economic toll of obesity and its related diseases by improving the quality of science in nutrition and obesity research." They don't have a predefined outcome in mind other than to improve research in nutrition. It's very difficult for researchers to find funding that doesn't support the "conventional wisdom" that has gotten us into this health mess, or isn't aimed at a new drug or treatment to benefit the big drug companies. NUSI was founded to help correct that. I have supported NUSI since its inception. This is a great talk by Dr. Christopher Gardner at Standford University about his "A to Z" study of three competing diets. What makes this so powerful is that for one, he has a great, easy-going presentation style, and two, when he began the study, he was very much a vegetarian and believed that was the right path to health. That really lends credibility to his study's conclusions that more support a low carb, high fat approach. An easy to understand, lighthearted look at how low fat diets can cause a great deal of trouble and how low carb, high fat diets can help. This low budget movie was created by Tom Naughton, a computer programmer, comedian, and filmmaker. Tom also has a blog where keeps us up to speed on the movie, his family's adventures on their new home/farm in Franklin, TN. Tom also is very good at debunking many of the bogus headlines and studies that regularly show up to support the "conventional wisdom" on health and nutrition. This is a now famous internet video of a technical talk that Dr. Robert Lustig gave on the dangers of sugar, specifically fructose, and how he sees this as the major cause of poor health. Probably the most well produced health and nutrition podcast there is, if not of all podcasts. The host, Angelo Coppola crafts an engaging story around recent news or other things he's discovered, tying the information around one theme for each show. This must be the longest running low carb podcast. 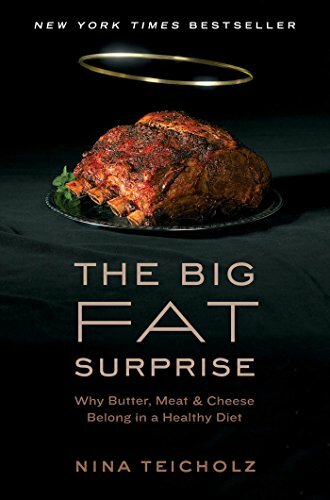 Jimmy Moore, the host, has had about every name in low carb on his show, at least once, from Gary Taubes, Stephen Finney, and Peter Attia to Tom Naughton. If you're interested in hearing from someone in the low carb community, they've likely been on his show. This is the one book that best sums up what I believe to be the best, most balanced approach to nutrition and health. It's much more than a low carb or paleo diet book but instead is, as the title says, a blueprint for how to get and stay healthy. Dr. Robert Lustig's book describes his view of the danger of high consumption of simple carbohydrates in general, but Fructose specifically. Moreover, he discusses the political side of the equation he believes will be required to get society back on track to better health. 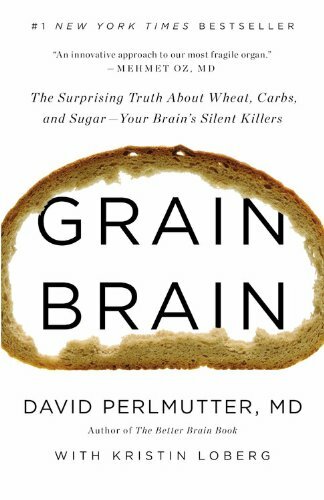 Written by Neurologist Dr. David Perlmutter, this book looks at starches from grain, and their negative effects on health and particularly the brain. 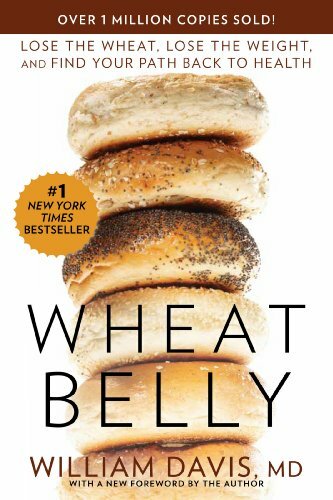 Dr. William Davis' book focuses on the negative health effects of wheat, particularly the toxins in modern wheat, as well as the effects of carbohydrates overall. 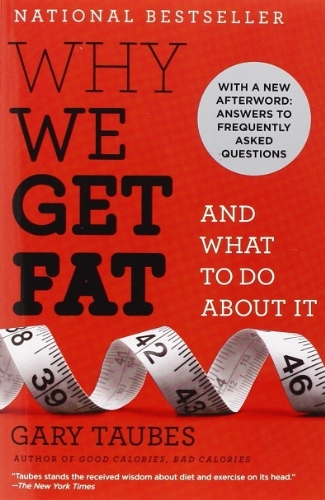 Very much along the lines of "Good Calories Bad Calories" in that it examines the disaster that is the current recommended low fat diet and at the poor science and politics that has led to it's recommendation and persistence in the face of mounting evidence against it. This one goes into more depth about the behind-the-scenes methods that the food industry used to affect the current conventional wisdom. 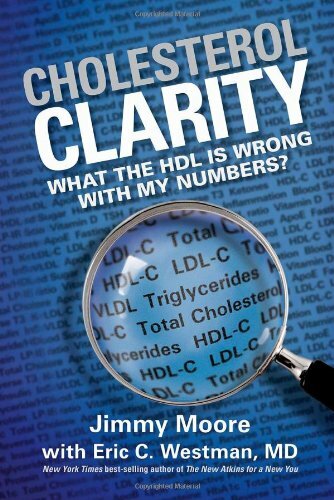 This book by Jimmy Moore and Dr. Eric Westman is a compendium of expert opinion on the latest evidence that cholesterol is not the enemy that it has been made out to be. 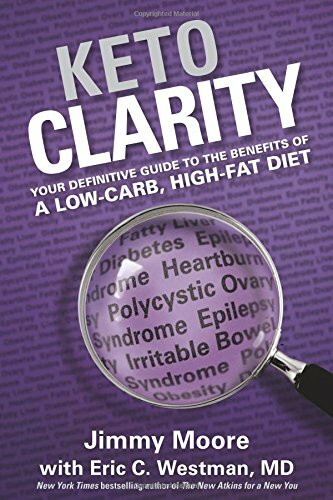 Just released and sitting in my reading queue as I write this, this book, also by Jimmy Moore and Dr. Eric Westman is also a compendium of expert opinion, this time on the efficacy and uses for a ketogenic diet. 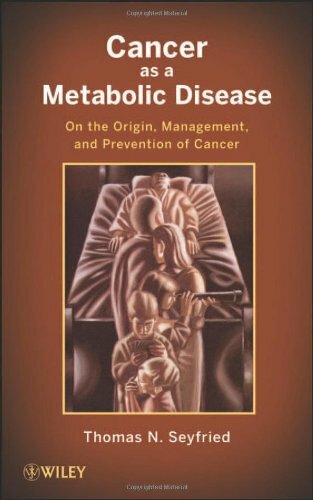 This is pretty much the bible and a strong argument for the view that most cancer is not caused by mutations that are caused by carcinogens, but rather, these carcinogens cause metabolic failure in the mitochondria (the powerhouses of cells) and that this failure leads to cancer and the observed mutations. This subtle difference makes a big difference in how we should treat cancer. I find this a very compelling argument. 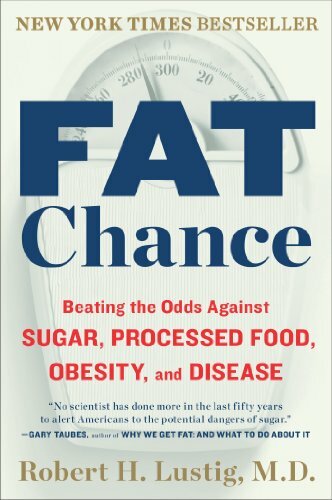 A very detailed, well documented account by Gary Taubes of how the low fat, high carbohydrate diet started from bad science and then got to be the standard recommendation for health, and how it has ruined our health. 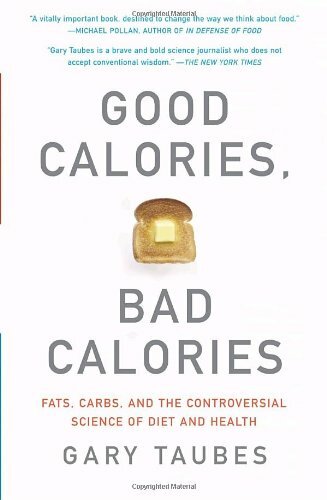 This is Gary Taubes more succinct and easier to read book that covers much of the same material as "Good Calories Bad Calories." This on is much better aimed at the lay audience. This 2002 Taubes article in the New York Times sums up the arguments found in "Why We Get Fat" and "Good Calories, Bad Calories" and is a good introduction to the topic of why we're in the health crisis we're in today.